Discovering Montpellier and its surroundings on a bicycle is a great experience, because it’s one of those things that you don’t forget and you repeat them because of how good they are. The city’s Mediterranean climate means that you can enjoy it all year round for a two-wheeled stroll, whether you are a couple, a group or on your own. For these plans you just have to be willing to have a good time, do some exercise and let yourself be amazed by the incredible landscapes. Montpellier is fortunate to have the Lez River, one of the city’s major attractions, not only for its beauty but also for the natural contact it offers its inhabitants. Its surroundings are places for recreation, outdoor sports and many people’s favorites to have a picnic with friends. The most wonderful thing is that there is a cycling road that surrounds it and connects the city with the beach. 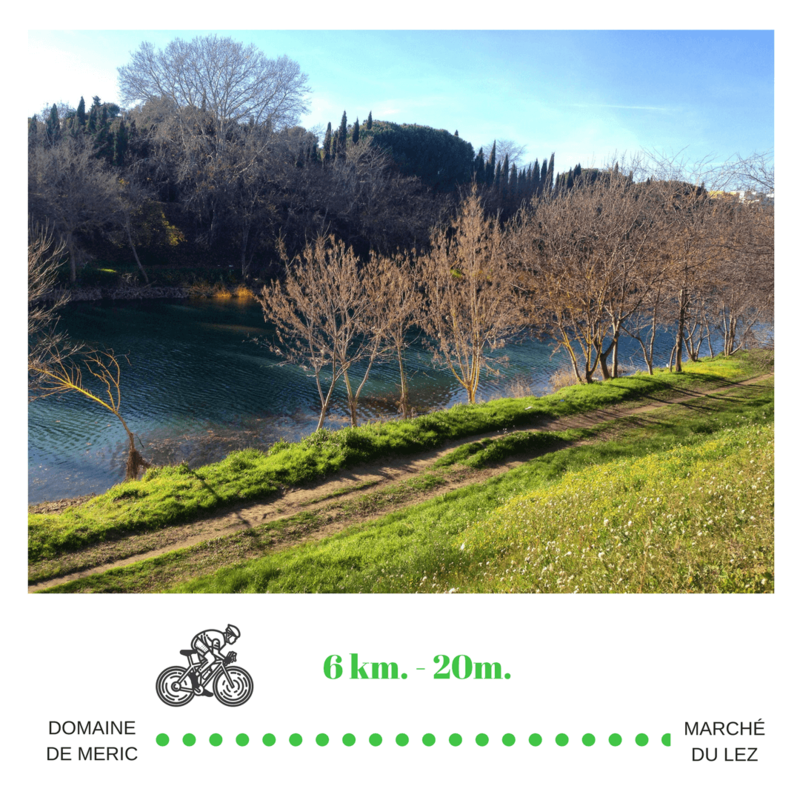 A perfect route to discover the Lez River is to leave from Domaine de Méric, the green lung of the city, towards the Marché du Lez, a modern market where you can end the walk with a good plate of food and a glass of wine. On your way, you will also find beautiful places such as the Esplanade d’ Europe, the Port Marianne area and Jacques Coeur pond. This is one of the preferred routes for tourists and locals as it is a perfect plan to spend a different afternoon or relax during the weekend. Leaving from the city center via Rives du Lez you will find the cycle path that surrounds the river and you must continue to reach the Mediterranean. This route offers beautiful views when suddenly the sea surprises you on one side and on the other, the lagoons full of pink flamingos that will make you stop at least once to observe them. Here you can decide whether to go through the cathedral first or leave it at the end of your route. 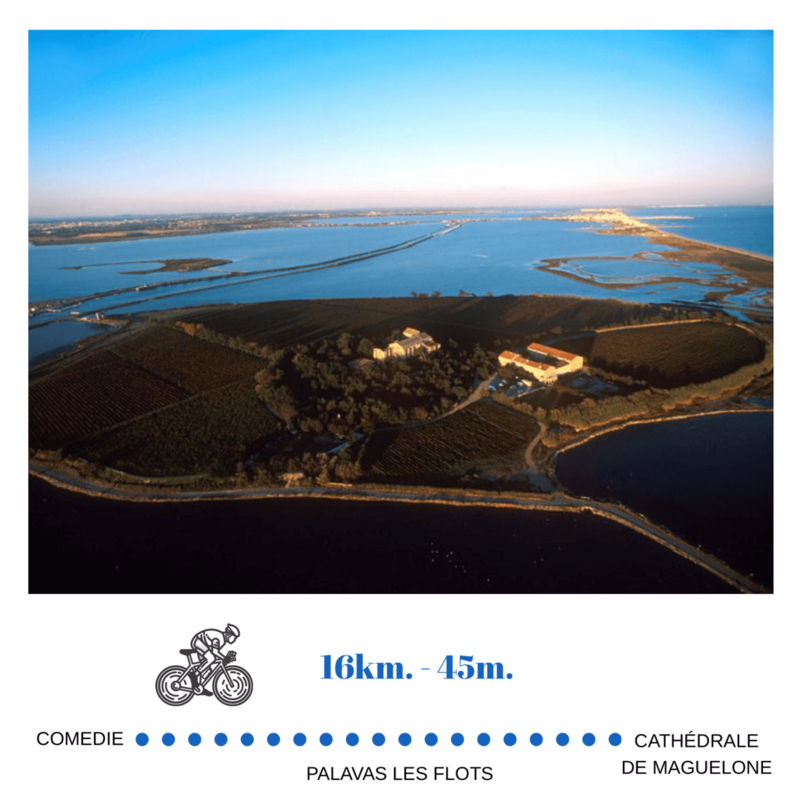 Of course, it is necessary that you take the time to discover this magnificent site that is surrounded by vineyards and little ponds, because in fact, the cathedral is in an island that only has access by a bridge or by a small road by the sea from Palavas Les Flots. Beach lovers will fall in love with this route without hesitation. 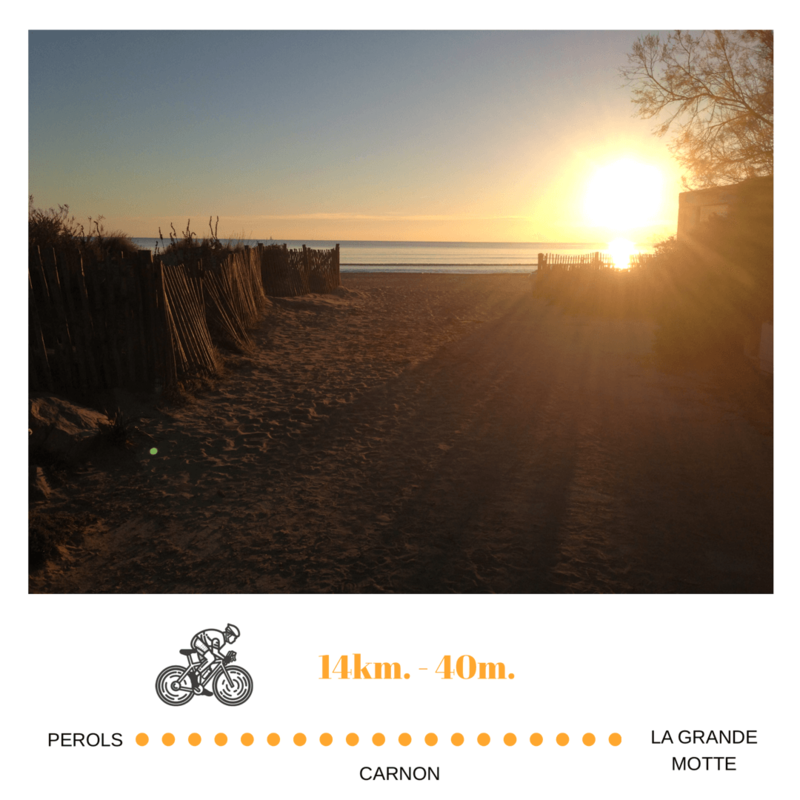 The best way to get to La Grande Motte by bicycle is to start pedaling from the Perols station of tram line 3, although the most athlete and risky ones can start from the Lez River cycle path. From there you’ll pass the Perols pond and then find the beaches of Carnon, which are among the busiest, and then skirting part of the Mediterranean coast as you travel along the beaches of Petit Travers and Grand Travers, until you reach La Grande Motte, a place for parties in the late afternoon and preferred by many to enjoy the sunset. If you don’t have a bicycle, it is good to know that the public transport network in Montpellier has the Vélomagg service, which is available to all people and has more than 50 stations available in the city for a price of € 0.50 per hour. Another option is to rent a bicycle at W Ville & Vélo which offers its customers day or part-time rates, including helmet and anti-theft equipment. Would you like to learn French while enjoying these activities in Montpellier?